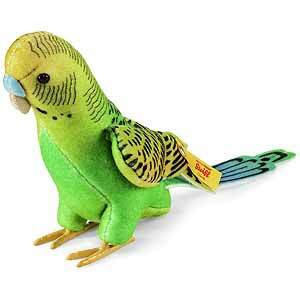 Hansi Parakeet by Steiff is hand made in beautiful green trevira velvet. His nose and beak are made with wool felt and his feet are hard, to enable him to stand. With the Steiff trademark, Button in Ear and Yellow classic tag.